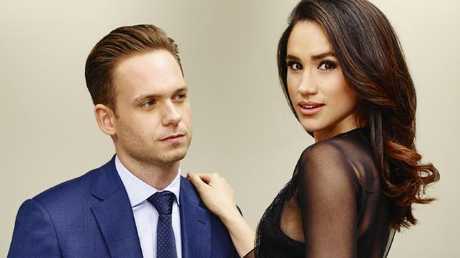 SUITS returns tonight at 8.30pm on Foxtel's Universal channel - with all eyes on co-stars Meghan Markle and Patrick J. Adams, both leaving the series after seven seasons. Markle, of course, will marry Prince Harry May 19 at Windsor Castle. She plays Suits lawyer Rachel Zane, who's engaged to Mike Ross (Adams), the brilliant legal mind and one-time faux lawyer who's now legit, splitting his time between the firm and pro bono work. "Having them both leave at the same time has allowed us to give them a happy ending," says series creator Aaron Korsh. "Had one [actor] left before the other, we might not have been able to do that." Fans are preparing to say goodbye to these two characters on Suits. Korsh says there were some "logistics involved" in shooting the season, including "heightened security," once Markle and Harry's romance heated up. "There were some days we knew Meghan couldn't shoot, which is common with actors," he says. "But on set it was the same as always. In terms of within the family of the show it felt the same to me." Korsh does admit that Markle's upcoming royal wedding has had a huge impact on Suits, a fan favourite which will return for an eighth season with new co-star Katherine Heigl. 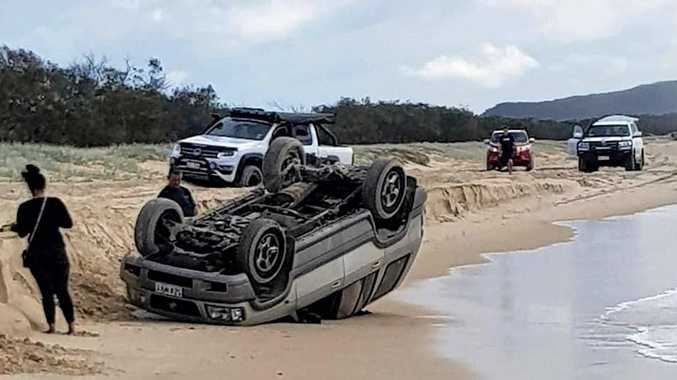 "Without a doubt it's jacked up our visibility," he says. "All we really get is linear TV ratings and those were not affected as much by [the romance], but in terms of awareness of the show … it's exploded. Any time somebody in your cast that finds someone and falls in love is great - whether they're famous or not."